So I may as well start the ball rolling with a personal thread. It may not look possible to be simpler than last year, but my current 'plan' is even easier than that was. 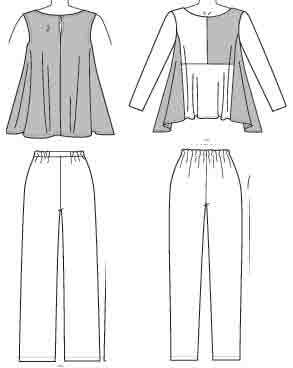 including sleeveless, and open fronted as a jacket - this is a 'one pattern many looks' plan. 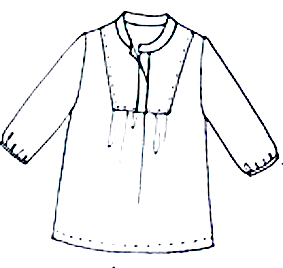 Tunic No.1 is top left. This sort of very simple shape has almost infinite potential for variations, using every type of fabric, with embellishment, simple pattern hacks. . . There are many simple patterns like this, but most are rectangles and as I'm very pear shaped I like one with sloping sides. Rusty Bensussen - Making a complete wardrobe from 4 basic patterns. Borrow & Rosenberg - Hassle-free make your own clothes book. Bottom & Chaney - Make it your own. They do look very 'over the top' to modern taste, but great fun and full of ideas for changing a basic pattern. 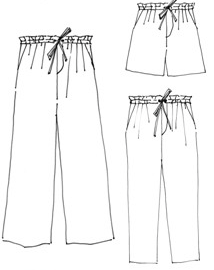 Many of the styles make us laugh now, but most pattern making and sewing techniques are still the same. I wear lots of tan and taupe, also cool grey which works well for me but is not included. Two years ago I made SWAP plans at 3 levels of sewing difficulty. 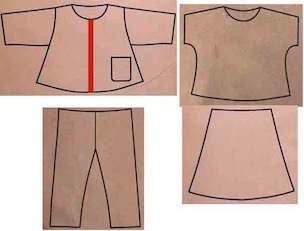 I suggested a variety of patterns rather than thinking what is possible in 4 months with my slow fitting and slow sewing - see Box Top SWAPs in https://www.pinterest.co.uk/sewingplums. 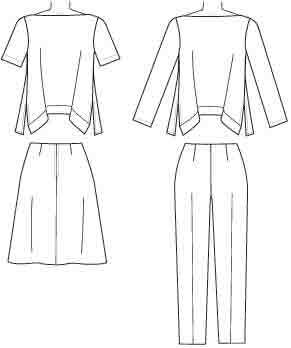 This year I'm emphasising One Pattern Many Looks so I'm limiting myself to one pattern for each garment type. These patterns have some ready-made style elements but can also be changed. 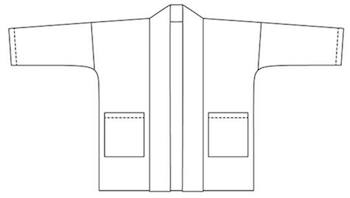 My SWAP plan includes starting from a pullover pattern and adapting it to make a jacket/shirt/vest. Have finished the toile and started on 'the real thing'. Colouring - my personal colours (hair, skin, eyes) are all neutrals. So I have no problem with wearing neutrals, I have more trouble with accents ! But I have got mixed cool-warm colouring - cool hair, warm skin. 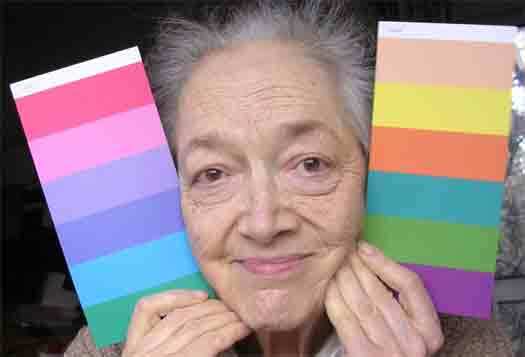 Here I am with Imogen Lamport's test cards for cool-warm. - cover the cool card and the warms look congruent, the same photo looks cheerful. 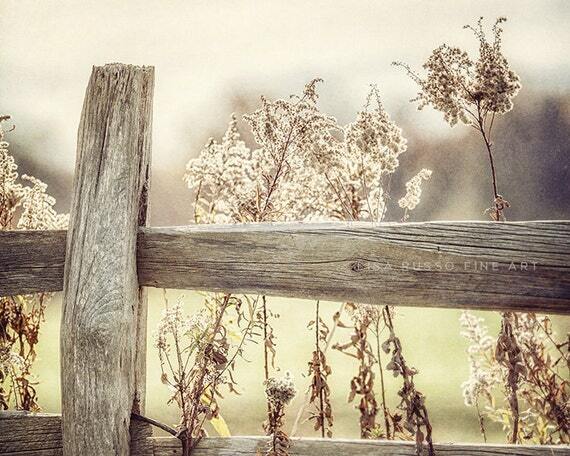 Here is a photo I made years ago to illustrate my style. 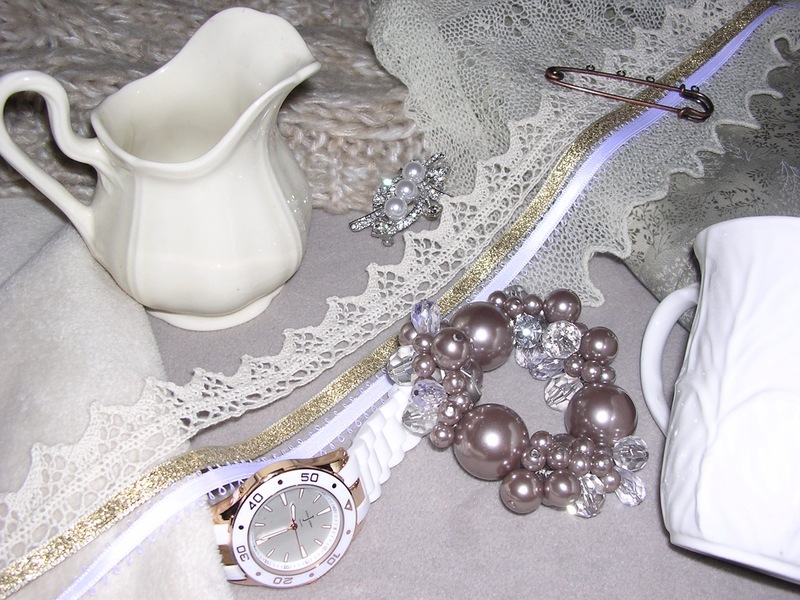 I don't find monochrome neutrals boring at all !